NEW YORK, Feb. 6, 2019 /PRNewswire/ -- Point of care testing volume has evolved and increased over the years. The growth is immensely driven by changes in healthcare, which are focused on providing more affordable care. The technologies for point of care testing have undoubtedly evolved and been refined for delivering easy-to-use clinical chemistry testing devices with improvements in analytical performance. For instance, Dipstick is a point of care testing technology that is being frequently used and has stood the test of time. It can detect a single analyte or upto 10 analytes and can also be used in conjunction with a very small reading device to reduce potential operator errors. Countries worldwide are facing a limit in the growth of healthcare budgets and in some cases reduced healthcare expenditures. To compensate for these limitations, countries are focused on reducing relatively expensive care in tertiary and secondary hospitals. Point of care testing allows timely detection of infectious diseases, which has further led manufacturers of these devices to improve and enhance their product portfolio. The benefits of using point of care testing clinical chemistry devices have led to the growth in demand for these devices, which is expected to boost market growth for clinical chemistry. The increasing prevalence of lifestyle-related diseases, such as obesity and cardiovascular diseases, has immensely contributed to the growth of the clinical chemistry market. The increase in laboratory automation is also expected to be one of the most important factors leading to the growth of the clinical chemistry market. According to a report published by the World Health Organization, lifestyle-related diseases kill approximately 41 million people annually, which is equivalent to around 71% of the mortality rate, globally. 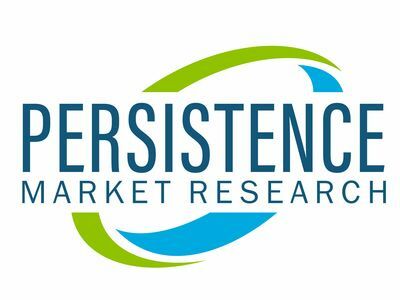 According to research conducted by Persistence Market Research (PMR), the global clinical chemistry market is expected to account for more than US$ 10 Billion in terms of value by the end of 2026. The clinical chemistry market report further projects significant growth potential, with an average Y-O-Y growth rate pegged at 5.1% through 2026. Successive generations of stand-alone clinical chemistry analyzers led to an increase in the analytical speed, offered capabilities for testing higher volumes of patient specimens, and generated large assay menus. The development of various integrated clinical chemistry systems have immensely improved the efficacy of analytical phase of clinical chemistry laboratory testing and led to further automation being used for pre-analytical procedures such as sample sorting, centrifugation, identification, and post-analytical procedures like specimen archiving and storage. A few examples for automation of the clinical chemistry analyzers include Abbott TDx, an automated batch FPIA analyzer which was replaced by the IMx, because it could perform many immunoassay tests in a single analytical run. Both these clinical chemistry systems retired, and batch immunoassay got replaced by random access immunoassay such as Abbott AxSYM and further led to the development of systems like Siemens Vista and Abbott Architect. PMR has segmented the global clinical chemistry market by product type and end user. By product type, the clinical chemistry market is segmented into clinical chemistry analyzers, POC test kits, and clinical chemistry analyzer kits and reagents. Clinical chemistry analyzers are further sub-segmented into semi-automated clinical chemistry analyzers and automated clinical chemistry analyzers. By POC test kit, the clinical chemistry market is sub-segmented into test strips, cassettes, and dipsticks. The end user segment for clinical chemistry is segmented into hospitals, pathology laboratories, maternity centers, outpatient centers, and clinics. In terms of revenue, the automated clinical chemistry analyzers segment in the clinical chemistry market is expected to hold a significant share over the forecast period, owing to the constant technological advancements been made and reduced risk of errors in the results. The clinical chemistry report tracks some of the key companies operating in the clinical chemistry market, including Siemens AG, Abbott, Thermo Fischer Scientific, Danaher, F. Hoffmann-La Roche Ltd., bioMérieux SA, Bio-Rad Laboratories Inc., Cardinal Health, Inc., Mindray Medical International Limited, and Hitachi, Ltd. The information presented in this review is based on a PMR report, titled "Clinical Chemistry Market Segmentation By Product Type - clinical chemistry analysers, POC test kits and clinical chemistry analyser kits & reagents- Global Industry Analysis, Size, Share, Growth, Trends, and Forecast 2018 - 2026."